The art of basso continuo is a never-ending exploration of musical possibilities. 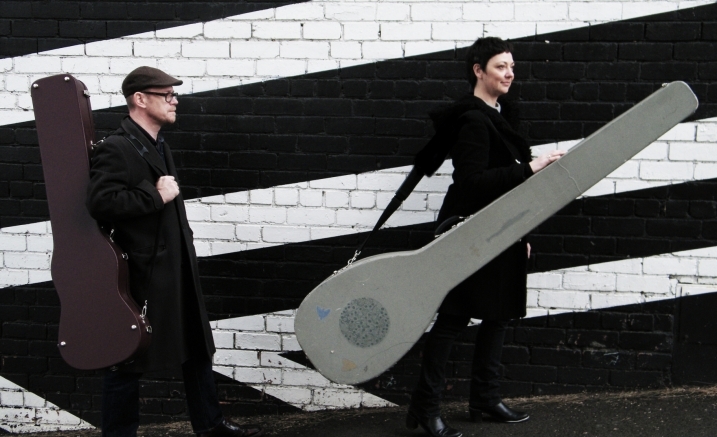 Continuo Collective – Samantha Cohen (guitar/theorbo) and Geoffrey Morris (guitars) – celebrates the role of early plucked instruments and the improvisatory art of basso continuo. The ensemble delights in performing rarely heard repertoire featuring plucked instruments from the 17th to the 19th centuries in intimate recitals with early music specialists. Nineteenth-century guitarist Johann Kaspar Mertz wrote a wealth of melodic solo and duo music for the Romantic guitar, in a style clearly influenced by Chopin, Schubert and Mendelssohn, and unique from his contemporaries. Discover a selection of his treasured duets for terz guitar and nine-string guitar in an intimate performance by Tommie Andersson and Geoffrey Morris, which brilliantly captures the splendour of this revered artist. The art of basso continuo is a never ending exploration of possibilities. Purchase the Continuo Collective two-concert package and save!